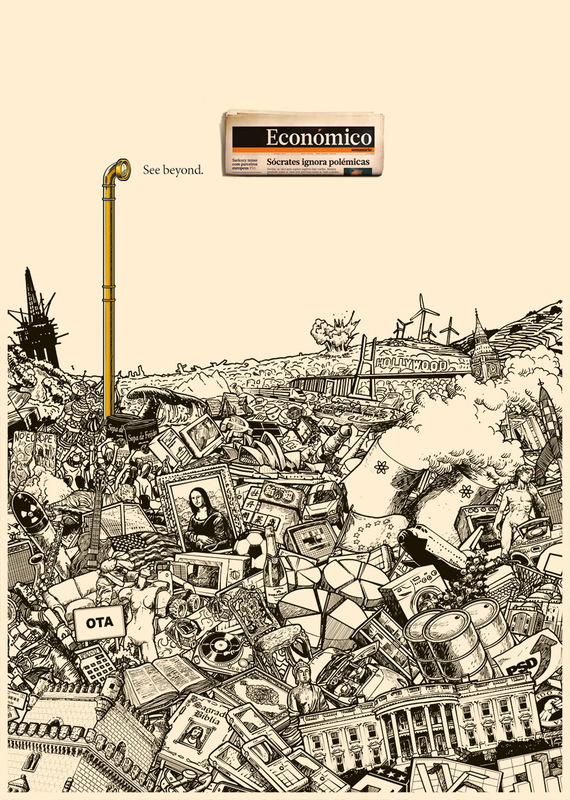 Portuguese news portal Economico is promoting its capacity to help see beyond the trivial with this print advertising campaign from Fischer Portugal. 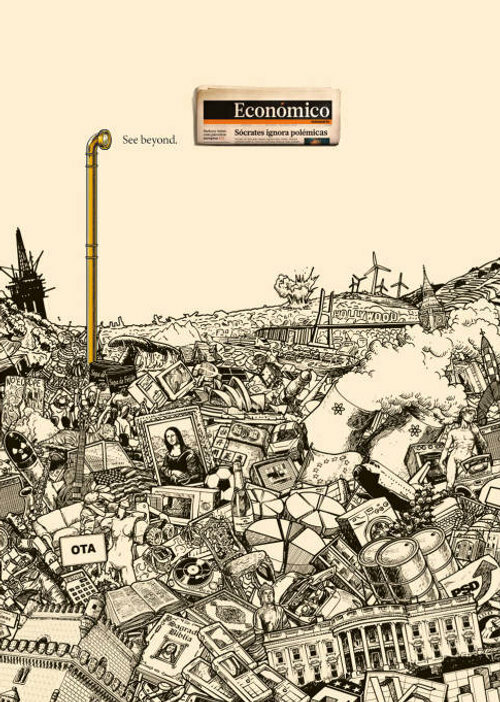 A periscope is used to see the headings above the clutter of caricatures and objects of art. 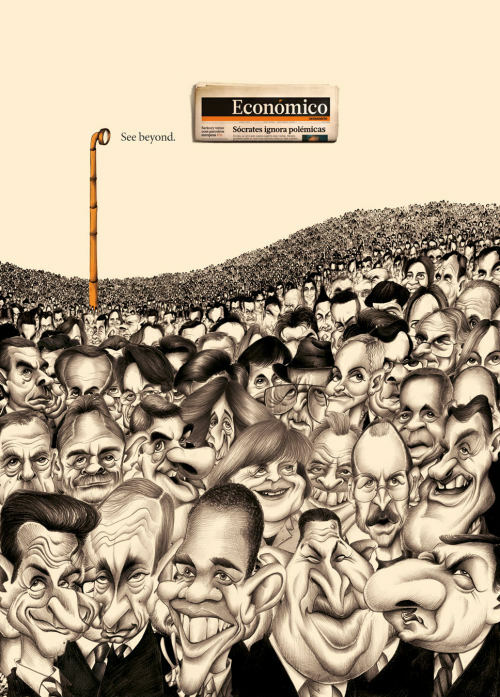 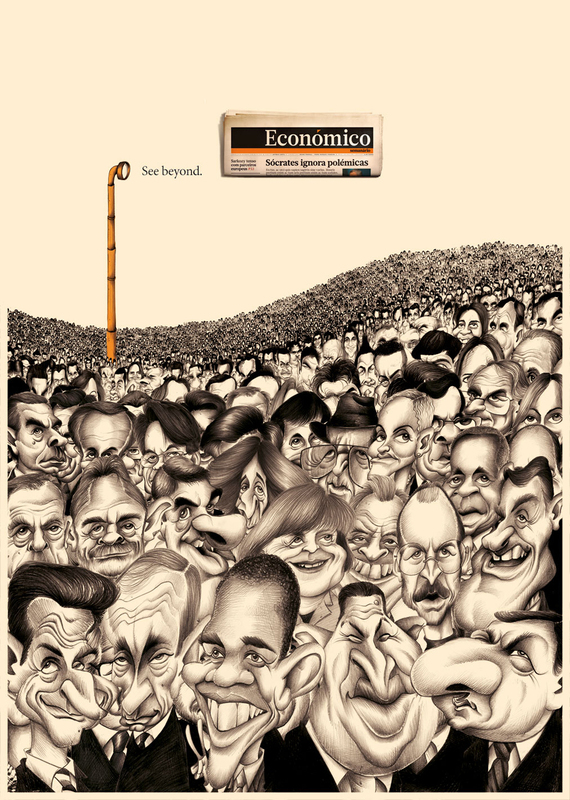 The Economico See Beyond campaign was developed at Fischer Portugal by creative director Diogo Mello, art director Marcelo Melo and copywriter Nuno Leal, with illustrator Carlos Laranjeira (Caricatures) and Nuno Duarte (Things).